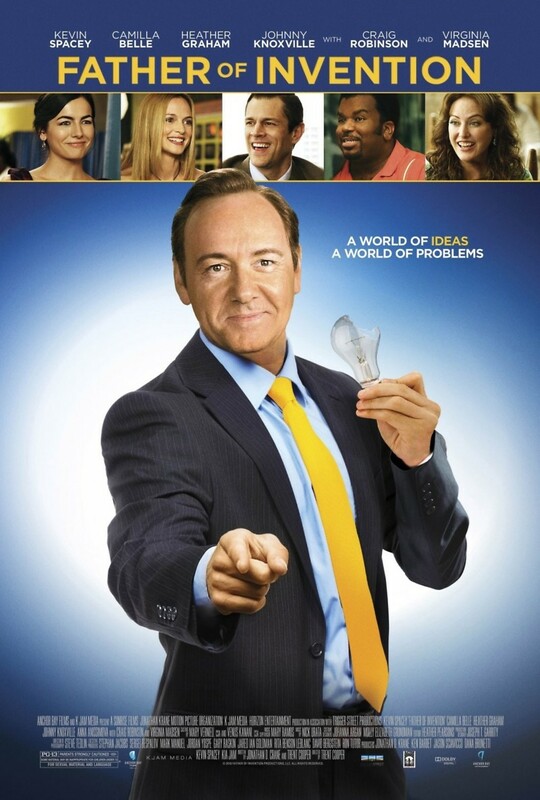 Father of Invention DVD and Blu-ray release date was set for October 25, 2011. Robert Axle was once a brilliant inventor and infomercial titan. But when one of his glitchy inventions injured thousands of customers, he lost his empire and was sent to prison for 8 years. Upon his release, Robert determines to rebuild his fortune and reunite with his daughter Claire. However, Claire works as a charity fundraiser and wants nothing to do with him. As he struggles to gain Claire's acceptance, Robert must also contend with her overprotective roommates. He also has to deal with his furious ex-wife Lorraine and his quirky co-worker Troy, as - he believes - stumbling blocks to his progress.